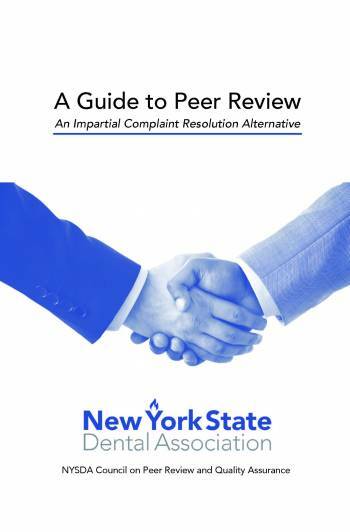 The New York State Dental Association Peer Review program provides a confidential, impartial and timely mechanism to resolve dentist-patient disputes about appropriateness of treatment and the quality of care rendered by NYSDA-member dentists. There is no cost for this service. Please contact The Seventh District Dental Society at (585) 385-9550 for more information about this service.